Melly and her best friend, Olivia, are all set for rock-‘n’-roll summer camp and on their way when Melly’s parents announce that they are getting a divorce. Then Melly and Olivia get placed in different cabins and bands…but Melly has only ever played with Olivia. Everyone else in her band has a different style of music and it doesn’t seem like they can find any common ground. 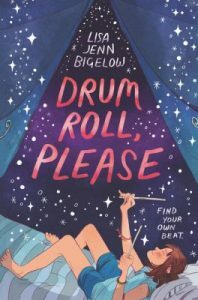 Her bandmate Adeline becomes a new friend and Melly realizes she has a crush on her. 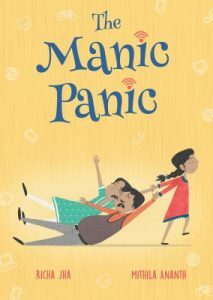 This novel takes Melly through many emotions: angry, confused, shy, scared, curious, understanding. This is a great story about coming out of your shell, romance, and of course, music. In Kate DiCamillo’s 2016 book entitled Raymie Nightingale, we were introduced to Louisiana Elephante. She’s a sweet girl, with a beautiful singing voice and trapeze artist parents! 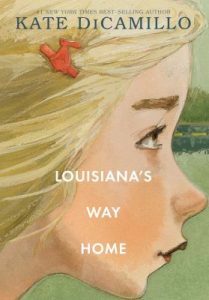 In 2018 we get the pleasure of an entire book revolving around her in Louisiana’s Way Home. It can be read as a standalone, but I really enjoyed reading it as a sequel. With grace and style all her own, Louisiana is faced with some terrible circumstances and some truths she’s not sure she is ready to face. Granny up and takes her to Georgia from Florida without warning, without her cat, and without even getting to say goodbye to her friends. Granny has no money and no apparent plan and Louisiana finds herself alone in a strange town wondering who she really is and what will become of her. Recommended for kids in 4th-6th grade who like heartfelt reads. 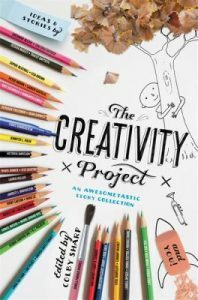 The Creativity Project, edited by Colby Sharp, is a written and visual collaboration of innovative ideas using words, art, poetry and stories from various professionals about how writers and illustrators think,explore, and their ideas evolve to a completed work. Each short segmented chapter initiates the process by submitting a conceptual prompt and then another resourceful contributor submits their idea of how they work from scratch, sometimes to a finished product. 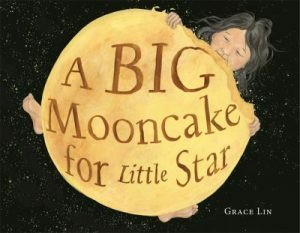 Categories: For Grades 4-6 Non-fiction Picks by Darice C.
Award-winning author and illustrator Grace Lin’s newest picture book is a delicious way to learn about the phases of the moon. Mama makes a mooncake but instructs Little Star not to touch it until Mama tells her to. Little Star remembers for a while… but then she falls asleep, and when she wakes up in the middle of the night she wants to peek at the mooncake. And boy does it look delicious! Mama won’t notice if she takes a tiny nibble, will she? When the internet breaks, what do you do? You can’t watch TV or play video games or stare at your phone…this is what happens for one family, and the parents are freaking out. It turns out to be their daughter who saves the day, with the help of an amused grandma, forcing her parents to do other things, like go for a walk in the park and play board games. They grumble and drag their feet, but ultimately have a great time. I really enjoyed reading this funny story with a twist, and I bet you will too!